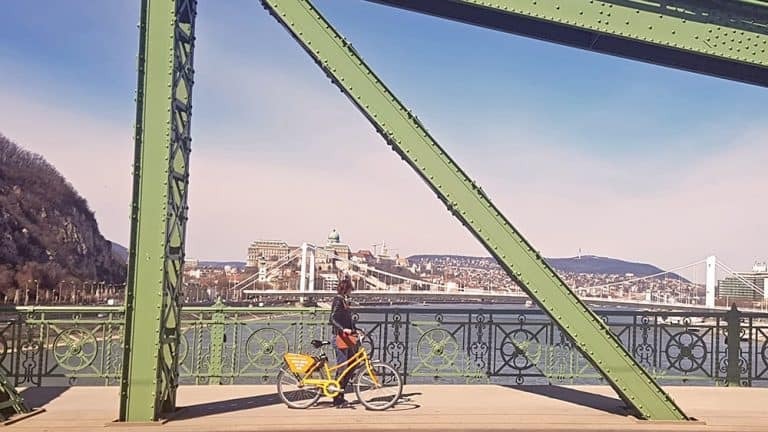 Bike-share memberships for Budapesters are available and you can still sign up for one of our discounted, limited offers. A membership gives you cheap rental prices on Donkey bikes all over the world! Budapest is the raw diamond of the region: striking architecture, mild weather, vibrant nightlife, and mouthwatering food. 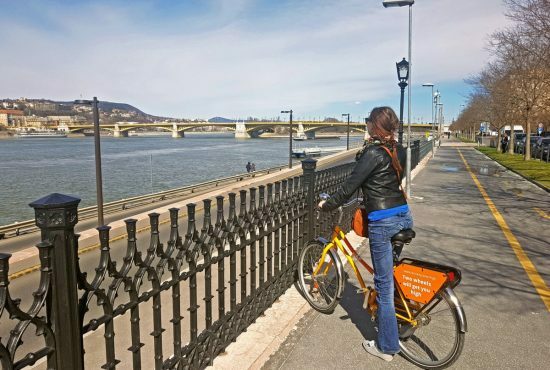 With cycling infrastructure improving slowly but surely, you’re urged to rent a bike in Budapest for the most authentic experience. 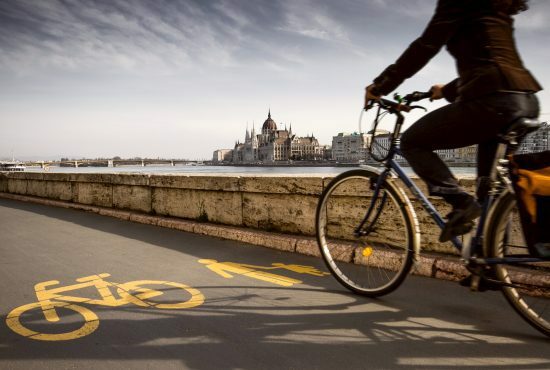 Cycling, as a mode of transportation, has been gaining ground in Budapest for the last few years. The cycling infrastructure, while still not comparable with cities like Amsterdam or Copenhagen, has developed significantly and, as a result, bike lanes can get quite busy. Make sure you familiarise yourself with Hungarian cycling rules before getting on your rental bike. Budapest is a city of contrasts. It’s a fast-paced capital, punctuated by serene oases. You are admiring gothic architecture one minute and looking for a bargain at a vintage the next. Every alley has a hidden gem, be it a restaurant serving heavenly local cuisine or an artisanal shop. 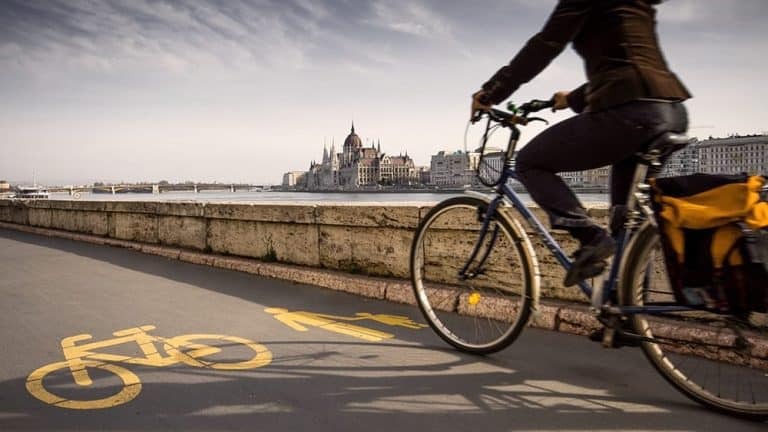 If you don’t want to miss these authentic cultural and culinary spots, we recommend you get a rental bike in Budapest from one of our pickup locations spread across the city and immerse yourself in the local ambiance. Named after the Italian bishop Gellert, who came to help King St. Stephen convert the population to Christianity (although things didn’t go as planned as the bishop got thrown down this hill by pagans), Gellert Hill features a spectacular view of the city. Stop by the closest bike rental in Budapest and head for the hills. A world heritage site, it’s 235-m high, so getting there will be a bit of a workout, but, believe us, it’ll be worth it. The statue of bishop Gellert faces Elizabeth Bridge (Erzsébet hid), one of the many bridges connecting Buda and Pest. 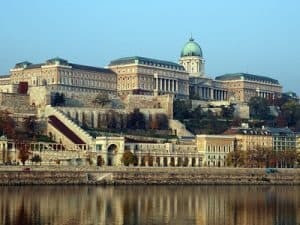 Continue your trip on the Buda side by heading north towards the Buda Castle, another world heritage site. The Castle District is a city within a city. There is so much to do. 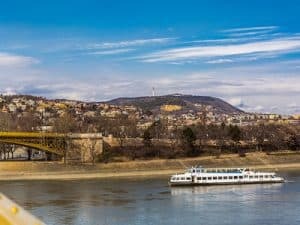 You have the wine tasting in the Faust Wine Cellar, the gorgeous Fisherman Bastion, numerous outdoor and indoor cafes and restaurants, Matthias Church, Hungarian National Gallery, and a dozen other things. The view of the Pest side is breathtaking. You won’t even need to apply any filters when posting images on Instagram. It’s that picturesque! 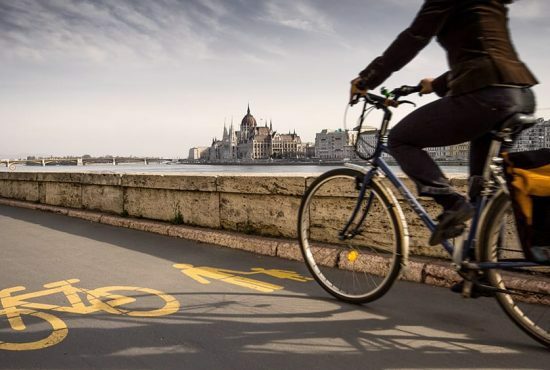 If you rented a bike in one of our Budapest locations, you will get around quite easily, although certain areas will require you to park your rental bike and proceed without it. 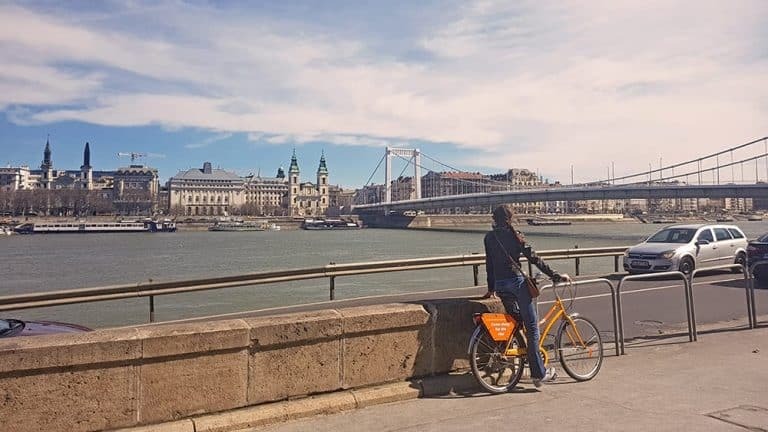 So you had a busy morning cycling on the Buda side ticking architectural landmarks off your list and are ready to enjoy some downtime. Good idea! 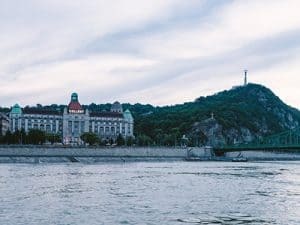 Head for Margaret Island, or Margitsziget, located in the middle of the Danube River between Margaret Bridge and the Árpád Bridge. Budapesters come here for leisure and sports. It’s an escape into nature in the middle of the city. Think of it as the Hungarian version of Central Park. You will see people chilling on the grass, throwing a frisbee, walking their dogs, jogging, or drinking beer on one of the terraces while observing the hustle and bustle of the city on the other side. Take your rental bike for a spin before you relax in the shade of a tree and check out the island’s Japanese Garden, the Music Fountain, and the Water Tower. If there is no cycle path, ride your rental bike as close to the hard shoulder and/or the right side of the road as possible, while still maintaining a safe distance between yourself and the cars/pedestrian street on the side of the road. If your kid is under 12 years old, then he/she is not allowed to cycle on the road, even if there is a designated lane. However, you are then allowed on the pedestrian street, provided you keep within a 10 km/h speed. You can also attach a second seat to your bicycle if your child is really young. While this will not happen often, if you don’t see a suitable way to cycle down the road, you are allowed to share the sidewalk with pedestrians. However, you mustn’t exceed 10 km/h and should be very considerate of pedestrians. We can’t stress the last point enough. If you venture outside the urban area, you can’t turn left from the cycle lane or a main road. You will need to get off your rental bike and push it across the road as a pedestrian.